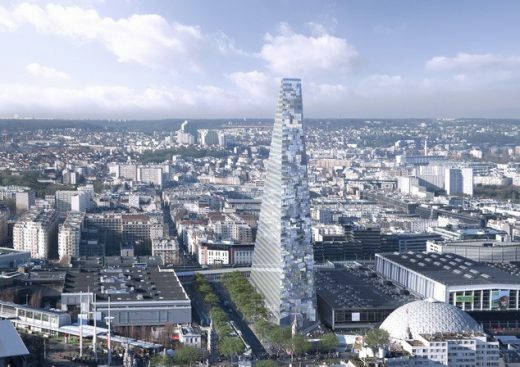 Herzog & de Meuron’s Paris pyramid has received approval by the city’s cross-party council which approved a protocol agreement for its construction in the south-west of the city. The privately-financed building, which is still being opposed by heritage groups, has been downsized by ten storeys to 40 storeys since it was first unveiled in 2008. Plans for a museum, swimming pool and hotel have also been abandoned. Practice founder Jacques Herzog told French daily Le Figaro that the building, expected to cost £470 million, would use wind and solar energy. 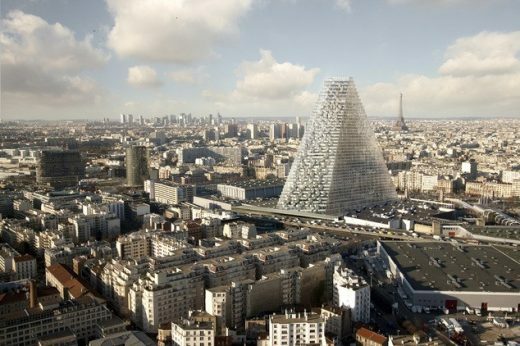 Projet Triangle will be the first skyscraper to be built in the French capital in 30 years, since socialist mayor Bertrand Delanoe introduced a ban on high-rises. Work is scheduled to start on Projet Triangle next year and to complete in 2017. Herzog & de Meuron argue the Projet Triangle design emphasizes the break between the Haussmanian 15th district (the old city) and the communities of Issy-le-Moulineaux and Vanves. It doesn’t say why that break needs a celebratory monument. “The Triangle is conceived as a piece of the city that could be pivoted and positioned vertically. It is carve by a network of vertical and horizontal traffic flows of variable capacities and speeds. Like the boulevards, streets and more intimate passages of as city, these traffic flows carve the construction into islets of varying shapes and sizes”, Herzog & de Meuron write. The Projet Triangle by Herzog & de Meuron is now set to be city’s first new high-rise. 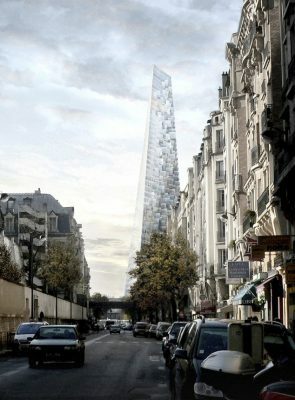 The Paris council unveiled plans for a 180m-tall 50-storey glass pyramid after voting to drop a ban on high-rise buildings in 2008. 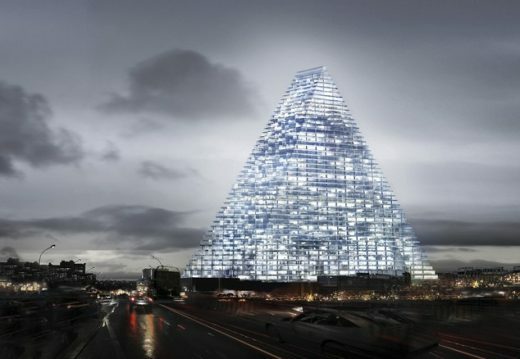 The intial Projet Triangle proposal was for offices, conference centre, 400-bed hotel, restaurants, cafes and gardens. 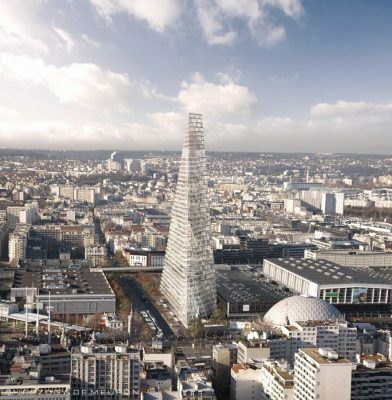 It is due to become the third tallest building in Paris after the Eiffel Tower and the Montparnasse Tower. The project is the first of six high-rise schemes planned for the city following an official decision in Jul 2008 to break the ban on buildings higher than 37m.